Options- that’s what this magical modern world of the Information Age has brought to the coffee scene. Time was, almost every cup of coffee an American was likely to drink was dripped into existence by the standard coffee maker. The price and quality of the machine might have varied, as might the price and quality of the bean, but the method…the method became standardized. No longer. The democratization of connoisseurship has done right by coffee, no less so than in the wide availability of pour over brewing systems. The pour over is a revelation to anyone who tries it for the first time, because it makes a drastically better cup of coffee. By allowing you to control the timing and distribution of the water, this method makes it possible to leech the best possible flavor out of a given bean. Of course, like any skill worth mastering, it takes some practice. Whichever product you use, the pour over method allows you to control the variables that make all the difference in the final product, most importantly the saturation of the grounds. By carefully timing and placing the pour, you move beyond the act of brewing to the art of brewing, crafting by your own kettle-hand each unique cup in an active process. Pushing a button can get you coffee, but with the pour over method, you’re making it, and how you do so matters. The first decision you’ll have to make is the most important one: which coffee you’ll be brewing. This part is entirely up to you. We’d encourage you to consult with your local barista, or simply wander around your preferred shop smelling everything until you find something that speaks to you (this is also a common means of finding a spouse in certain parts of Appalachia). Our only recommendation is to choose responsibly, sustainably produced coffee. Once you’ve brought something (and/or someone) home, it’s time to grind. We can’t stress enough the preferability of burr grinders (electric if you like, hand for that quaint Amish vibe) over bladed grinders, due to the blender-like actions of the blades having a pre-roasting effect on the beans from the heat generated. Trust us. Different grind settings will produce variations of their own. Generally, the finer the grind, the slower the brew and the more intense the coffee. As always, grind only enough to make what you’re drinking in that sitting. Pre-ground beans are wasted beans. Whatever system you’re using is going to come with a filter. Some are thicker, some are thinner, and each has a different effect on the brew. You’ll want to experiment with different combinations of filters and grind coarseness to test the effects. In general, tighter filter weaves allow for a finer grind, which (as we mentioned) means more intense coffee. One negative effect a filter can have is to impart the filter’s taste into the coffee. Roasty scientists are hard at work in our labs trying to create vanilla cinnamon filters, but to no avail. In the meantime, don’t forget to rinse the filter with hot water before the coffee goes in, which serves both to prep it for brewing and prevents the paper taste from finding its way into your beverage. Use about 2 cups of water for every 2 tablespoons of coffee. This will vary slightly depending on the strength you’re looking for. If you’ve got a nice electric kettle with temperature control, set it for 205 degrees Fahrenheit (that’s 96 degrees Celsius for Canadians or whatever). There is some room for preference here, too, both yours and the bean’s. You can go as low as 195, which will have different effects on the coffee; generally, the hotter the water, the more speedy and drastic the chemical effects. Feel free to experiment. If you’re heating water on a plain old stove, just bring it to a boil and remove for 30 seconds. That will put it in the right temperature range, though it’s far less precise. Once the water’s done, the filter is rinsed, and the grounds are in place, it’s time for the bloom. Wet the grounds evenly, just enough to saturate them and no more. Sit back and watch as the excess gasses bubble their way out for about a minute. This step is crucial in ensuring that the final pour is able to make its way into and through the grounds, chemically speaking, for the brew. Once the grounds have had time to bloom, slowly pour the rest of the water, evenly soaking them with a circular or back-and-forth motion. 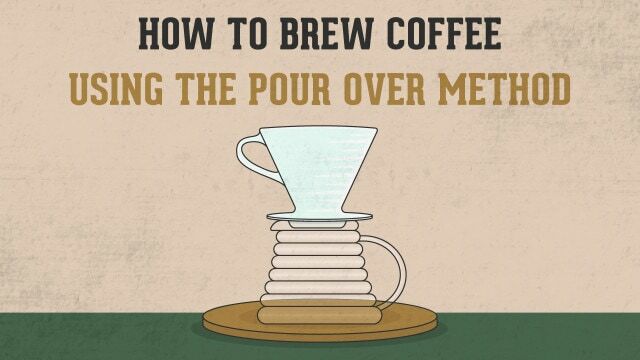 This is the key difference between the pour over method and traditional drips. 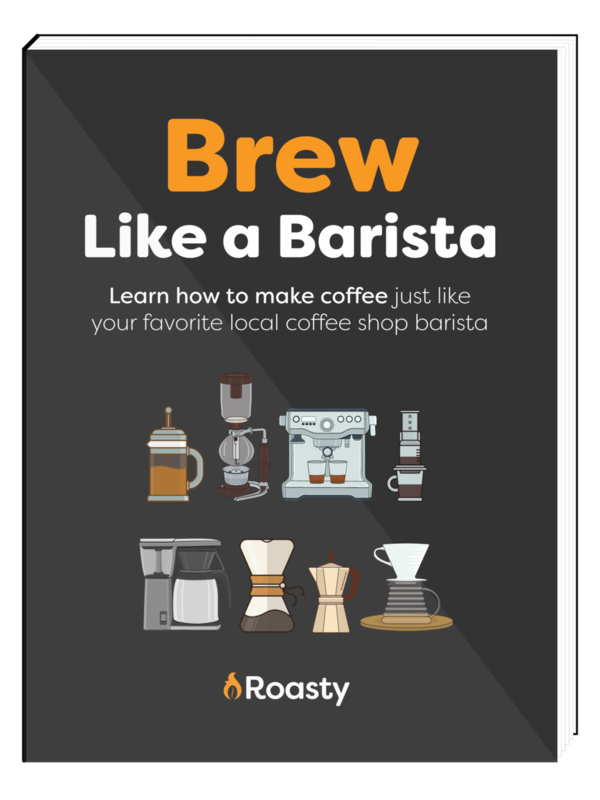 You’re constantly adding fresh, hot water from just above the grounds, as opposed to the dribbling lawn sprinkler inside of standard coffee makers. You’ll extract more flavor more consistently from each bean. Hold the spout as close to the grounds as possible, and make a game of chasing down the grounds. Just as you’ve soaked one area, another calls. This is why we prefer the gooseneck kettle, for perfect control of the stream. Once the coffee has filtered completely, toss out the grounds and taste the results. As mentioned, different combinations of different variables will produce different coffee. Keep note of your process, and enjoy the challenge of finding the perfect “recipe” for each bean. It takes some work, but it’s the kind of work a coffee lover won’t mind.